Stays true to Mr King's style. Twisted, chilling dark and very descriptive narrative. I'd recommend it to any thriller genre fans. Been meaning to read this book since I was a little kid, and I finally got the chance. A tough tail of losing your mind . You want to talk about psychological novels? The Long Walk is the one for you! I pace when I read, and I was so into the story that when I tripped and twisted my ankle, I genuinely thought I was about to be shot and killed after my three warnings were up. It was an unsettling and amazing read. The Greatest Bachman book ever. This book is amazing. 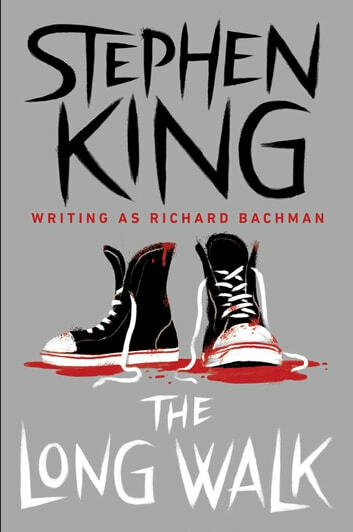 One of Stephen kings best writing as Bachman. The characters are phenomenal and the story is fantastic. I was so into the book that I was tearing up when some characters died. An awesome read that any fan of Stephen king should check out.